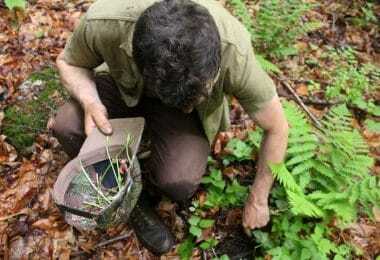 When we are in the outdoors, we often consider worst case scenario type situations, and we may overlook the care surrounding something like a bug bite or a bee sting. However, if you are allergic to bees, a bee sting is a worst case scenario. Now, not everyone is aware of their allergies until they’re faced with them, and even if you are not allergic, the person you are with may be. So, it is important to be ready. 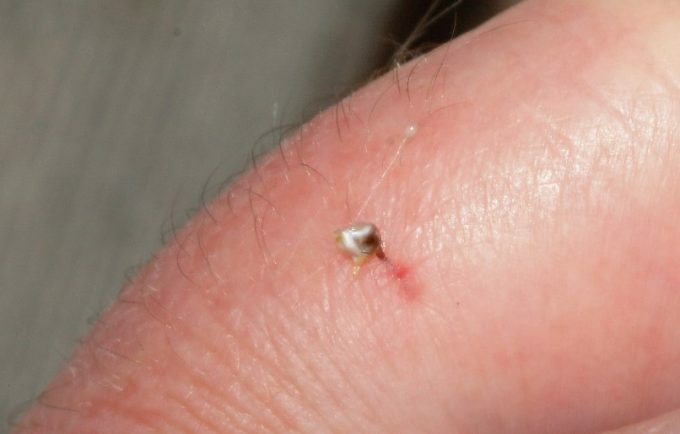 Treating a bee sting, whether it is in the backcountry or in your backyard, can be a simple, and even preventable process if you have the right tools and knowledge. For tips on how to treat bee stings, read our article to find out more. 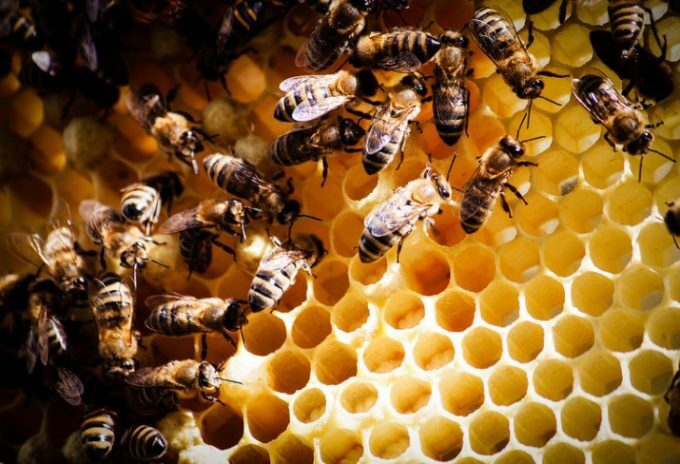 Being aware of how to prevent a bee sting is an important step before you even begin to delve into how to care for a sting after it has happened. If it does happen, there are many things that you can carry with you if you’re on the trail to relieve the pain and irritation that go along with a sting, and there are many natural elements to soothe a sting as well. Before we are faced with the unpleasant possibility of a bee sting, we recommend taking measures to avoid and prevent it from even happening in the first place. Avoid drinking sweet beverages or keep them in a container you can close. Bees are attracted to anything that has sugar in it. Don’t wear perfume or scented lotions for the same reason as the example above. Wear shoes to avoid stepping on a bee. They often draw pollen from flowers on the ground. When mowing the lawn or trimming vegetation, know that this activity could disturb a number of insects, and be aware of the insects it does disturb in the process. Wear form-fitting clothing so bees won’t be able to fly into your clothes, and sting if they are trapped. Bees are attracted to bright colors and floral prints, so try not to wear prints of that manner when working outdoors. If you’re eating outside, use containers that can be covered. Since flies attract bees and wasps, keep trash bins closed and clear any animal feces from your yard frequently. If you find a beehive or a wasps nest, contact a professional to remove it. Always be aware of your surroundings when you’re hiking, and if you spot a beehive take care to go around it so you don’t disturb the bees. When setting up a campsite, survey the area. If there are a few bees investigating you while you pitch the tent, find a new area because the hive isn’t going to be far away. Keep trash and food waste at least 300ft (90m) away from your tent and camp area as to avoid attracting flies and eventually bees or wasps. Try to set up a separate area away from the tent to prepare food. Keep food covered whenever possible. Use non-scented lotions and baby wipes. Do not swat at the bees. This will irritate them, and more than likely cause them to sting. Stay calm, and slowly move out of the area to avoid disrupting them. If you are stung, cover mouth and nose and try to get indoors or a covered area. Once a bee stings, it lets off a scent that attracts other bees. See our reviews of the top insect repellents to keep bees and pests away. Even if you are observant and careful, there is always the possibility that you will be stung if there are bees in the area. If you’ve been stung, there are a few things that you can do to relieve the irritation and discomfort. Unless you are allergic, most bee stings can be treated at home, and you will not need medical attention. Read further for common allergic reactions, and what to do if you or someone around you goes into anaphylactic shock. If there is a stinger left behind, remove promptly. Only honeybees leave a stinger behind. Do not squeeze stinger out, as this can release more venom into the area. Scratch it out with your fingernail, with a knife, or a tweezer. Do this immediately! Stingers can continue to release venom for up to three hours. Apply ice or cold compress to relieve swelling. Apply calamine lotion or hydrocortisone creams to relieve swelling and itching. You can also use honey, baking soda mixed with vinegar and water, apple cider vinegar, onion, crushed garlic cloves, lemon and alcohol, wet aspirin paste, lavender essential oil, or toothpaste. Monitor your condition to be sure you don’t have a more serious allergic reaction. Remove stinger as directed in at home care section above. Wash sting area with soap and water to prevent infection. Pack StingEze type topical ointment in your first-aid kit to relieve discomfort. If you don’t carry StingEze, consider applying any of the following to relieve itching: toothpaste, calamine lotion, a paste made of mud and ashes, dandelion soap, deodorant, or hydrocortisone cream. Take an oral antihistamine, such as Benadryl to relieve allergy symptoms like itching. If you don’t have Benadryl, anti-inflammatory pain relievers help to relieve pain and swelling, but won’t treat allergy symptoms like itching. Use a cold compress to relieve swelling and pain. 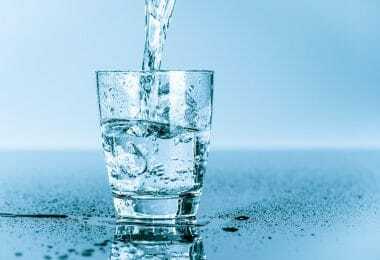 Since you likely won’t have access to ice, cool water on cloth is a good supplement. Monitor the sting area for at least up to a day after being stung to be sure you aren’t experiencing a more serious reaction. Discomfort from a mild reaction to bee sting should only last about two to four hours. Remember that the first action that should be taken, no matter the environment, should be to remove the stinger. Don’t squeeze the stinger or the venom sac, and if the bee is still attached, it is best to scrape it off the area instead of pulling it out. Always be on alert for any signs of a more serious allergic reaction, and continue reading to know the signs and symptoms of severe or even life-threatening allergic reactions and what to do about them. If you are allergic to a bee sting, hopefully, you know already, but if this the first or second time you’ve been stung, you may have an unexpected allergic reaction. Here are some signs and symptoms of a more serious reaction to a bee sting. These specific symptoms require immediate medical attention, because you may be going into anaphylactic shock, which can be life-threatening. 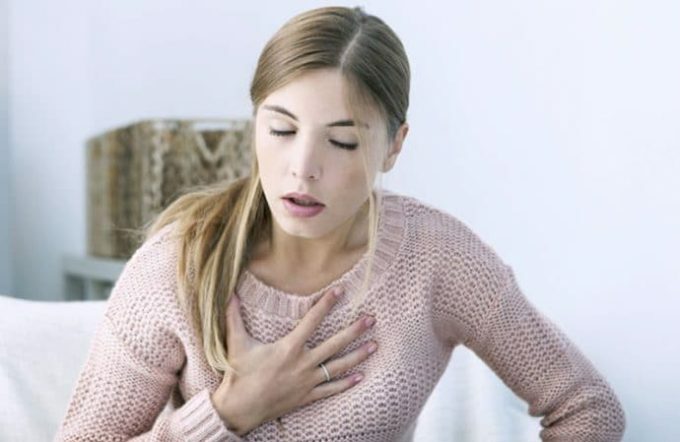 Anaphylactic shock is an extremely dangerous condition because it can block airways to prevent breathing, and even stop your heart due to lack of oxygen. Potential complications include kidney failure, brain damage, heart attacks, and if left untreated long enough, death. If you are at home and you or someone that you are with is experiencing anaphylactic shock or symptoms that may lead to anaphylactic shock, seek emergency medical attention immediately. We recommend calling 911 instead of transporting the individual experiencing anaphylaxis. If you are aware that you have a severe allergy to bees, hopefully, you have an Epipen, and this should be administered when any signs or symptoms appear that could lead to anaphylaxis. Follow the instructions on the Epipen, and follow-up with an antihistamine. 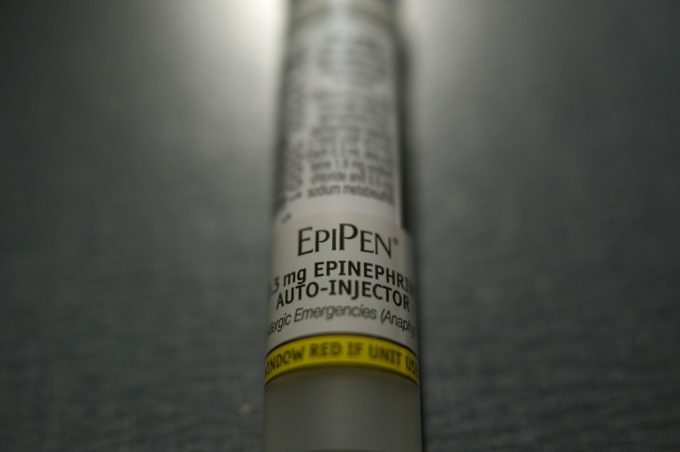 You should still seek medical attention even if you have used an Epipen. Symptoms can return for up to 24 hours after an injection. 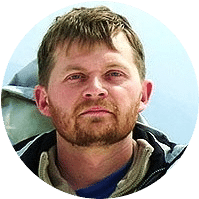 Severe allergic reactions and anaphylaxis can become a more serious issue when in a backcountry setting because emergency medical care is harder to reach and harder to get to. If you know you have allergies that could potentially lead to anaphylaxis, always carry an Epipen and antihistamines. Even if you have used an Epipen and symptoms seems to be subsiding, get medical attention as soon as possible. A reaction can reappear within a day of administering the Epipen. Generally, people with a severe allergy to bee stings will react within moments of being stung, but sometimes it can take up to two hours to begin to show more severe symptoms. Be sure that you know the signs and symptoms of any severe allergy before embarking on a backcountry adventure. 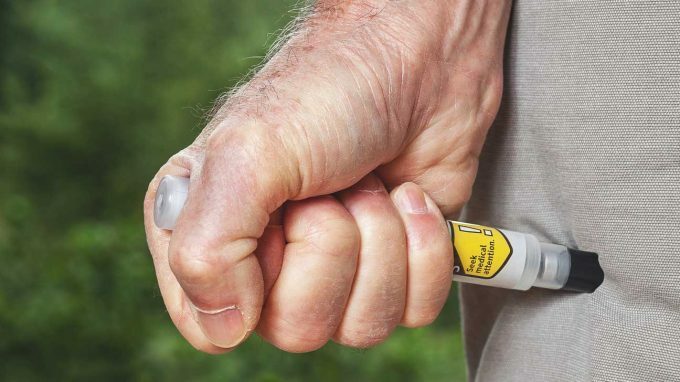 If you are in the backcountry, and you or your travel partners don’t carry an Epipen, you will need to get emergency medical attention as quickly as possible. When traveling in groups, we recommend having an Epipen in your first-aid kit in case someone is not aware of any severe allergies. This is also a good practice on longer solo excursions in a new environment that you haven’t been exposed to in the past as well. In the most severe cases, anaphylactic shock can cause death in up to a half an hour so you will need to act fast! Try to contact a rescue team, but if you can’t, you will need to get them out. It helps to loosen any tight clothing, cover them with a blanket, and if there is vomiting, have them lie on their side so they don’t asphyxiate. Avoid giving them things to drink or eat, because their airway is most likely closing, and this could cause them to choke. 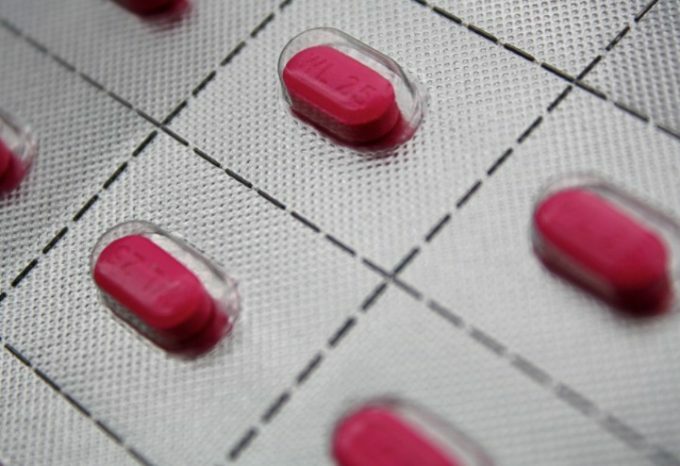 Antihistamines, such as Benadryl, do not treat anaphylactic shock, it merely soothes minor allergic symptoms. If there are no signs of breathing, and movement has stopped, you will need to perform CPR. Like most backcountry emergencies, previous wilderness medical training is helpful. Do some research before you embark into the backcountry, and see if there are any first aid or backcountry medicine classes available in your area. 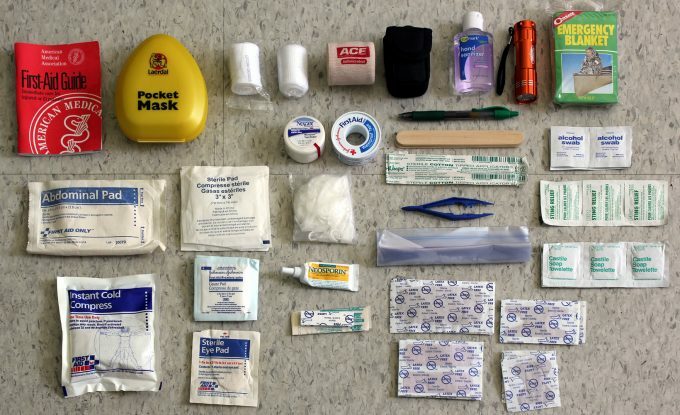 Having a background in wilderness medicine will more than likely turn inventorying your first-aid and/or survival kit into a habit so you can be sure that you are carrying the resources that you may need in case of any emergency. This will also guarantee that you are more equipped to notice any symptoms leading to anaphylactic shock, and if it gets to the point someone needs CPR, at least you’ll know exactly what to do. Whether you are spending time outdoors in your own backyard or you are hitting the trail for a long weekend, it is best to be ready for anything that could disrupt the pleasures of being outside. Something as tiny as a bee could ruin the perfect day, and turn any trip into a nightmare. 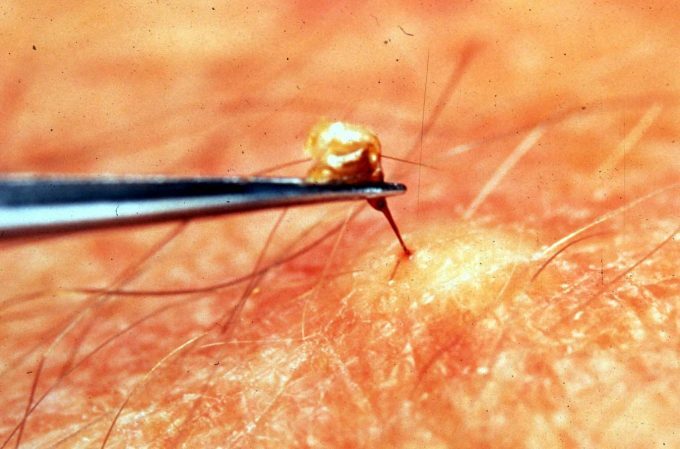 There are a number insect bite and sting kits available that you can keep in your house, your vehicle, or in your survival and/or first-aid kit. 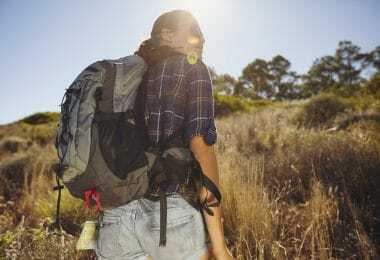 It is recommended that you at least keep an antihistamine, such as Benadryl, and some hydrocortisone cream in the first aid kit that you use for day trips, weekend trips, or longer excursions into the wilderness. If you are traveling to an area you’ve never been to before, and are unsure of your allergies, consider investing in an Epipen in the case of a severe reaction. You can also talk to your doctor about being tested for allergies so you can for sure whether you will need something like an Epipen at all. 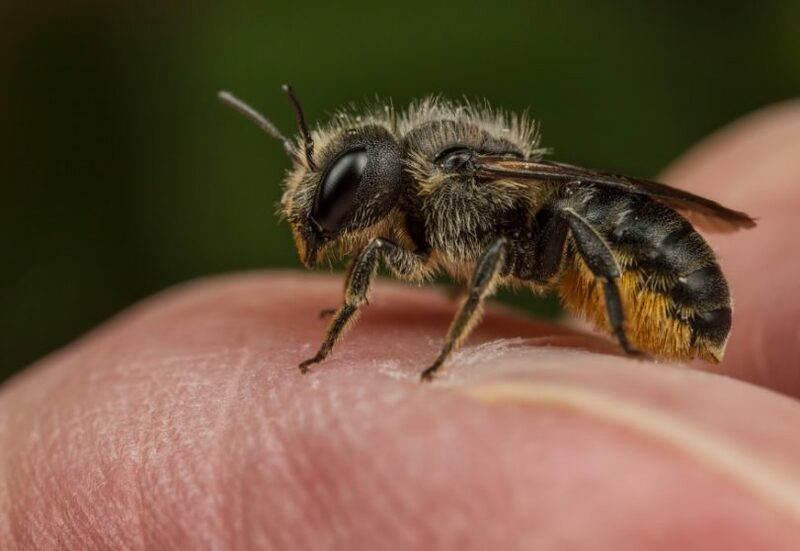 Being aware of your surroundings is the first step in preventing a bee sting from happening, and if it does happen, knowing to properly care for the sting can make the experience less irritating altogether. There are a number of items that you can use to sooth pain, itching, swelling, and further irritation within the time after a bee sting. Also, it is vital to know the signs and symptoms of an allergic reaction that could lead to anaphylactic shock so you can be ready in case of an emergency. Plan ahead, and talk to your companions so everyone is prepared. 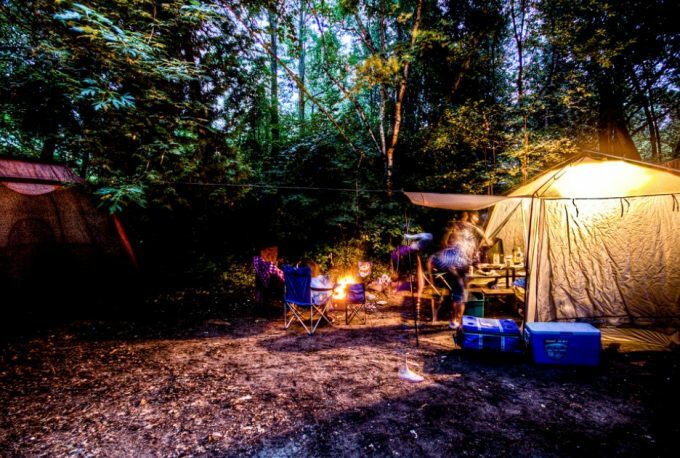 For guidelines on camping safety on your next trip, see our must-read article on this topic.